If you own a furnace, you know how satisfying it can be when it kicks on and provides you with all the heat you desire. So, when something goes awry, you might begin to panic. However, there are some things that you can do to avoid a furnace malfunction. No, we don’t expect you to understand the inner-workings of your system, but we do want you to be aware of the impact that one little component has on your entire furnace system – we are talking about your air filter. Here at GRmetro Heating & Cooling, we can’t stress enough the importance of having your air filters regularly changed by an HVAC professional. 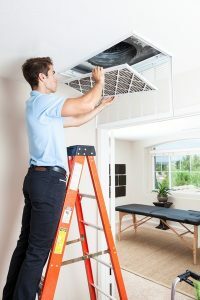 Many homeowners minimize the importance of changing their air filters, so it might only be changed during their annual maintenance visit. But air filters need to be changed every 1-3 months to keep the furnace running efficiently and effectively. Failure to do so can result in some pretty negative side effects. 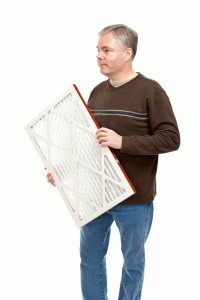 If you are overdue for an air filter replacement, don’t wait any longer. 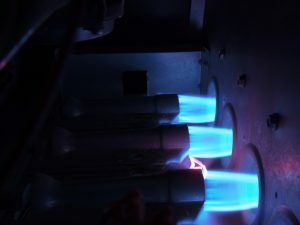 While there is a variety of types of heating systems in our area, there’s still one system that reigns as the most popular system throughout the country: the furnace. 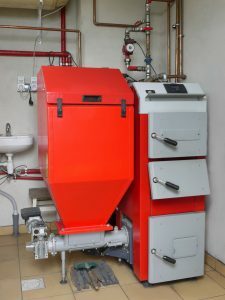 In particular, the natural gas furnace is convenient to install in most home setups and operates safely and efficiently with proper installation. 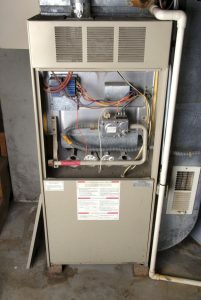 For the most part, you don’t need to know too much about the inner workings of your furnace, as a qualified technician is the only person who should handle any repairs or installation. Still, it helps to know the basics about how a furnace works. This way, you can know how to tell when something is not working as it should, and you can have a basis of understanding when a technician explains a problem within your system. We’re here to help you get some information about how your gas furnace works. Can My Heating System Be Repaired? When something goes wrong with your heater, you’re likely hoping that the system can be repaired. After all, it’s typically much less expensive to make a repair for your heater than to replace such a costly system. That is, unless you’re making repairs that won’t stand the test of time. Sometimes, it’s simply impossible to repair an older heating system. Other times, it may be possible to repair your heater, but it won’t hold up, meaning you pay spend more money with time. Of course, there are many times when a simple heating repair is all you need. While you’ll have to call a technician in to check your system and tell you for sure, we want to help you understand why sometimes, replacing your older heater just makes sense. Here’s a primer on knowing the difference between furnace repair and replacement, but call our team for a proper diagnosis! Posted in Heating | Comments Off on Can My Heating System Be Repaired? How Long Should My Heating System Last? 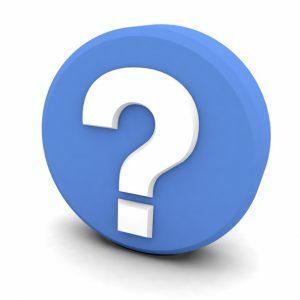 Whether homeowners have just purchased a brand-new heating system or they notice that theirs is aging and beginning to experience some problems, so many homeowners ask us the same question: “How long is it supposed to last?” As you may expect, the answer is not a simple one. No technician can say with certainty how long a heater will work until it fails, but we can provide some information to help you know what to expect. We also want to help you keep your heating system for longer! Our technicians care about the health and wellbeing of your system, so we’re here to explain what you can expect from the life of your heater and to offer some tips for keeping it around for longer. Posted in Heating | Comments Off on How Long Should My Heating System Last?